A place of scenic beauty – Wakanoura, national designated at southeast Wakayama city. 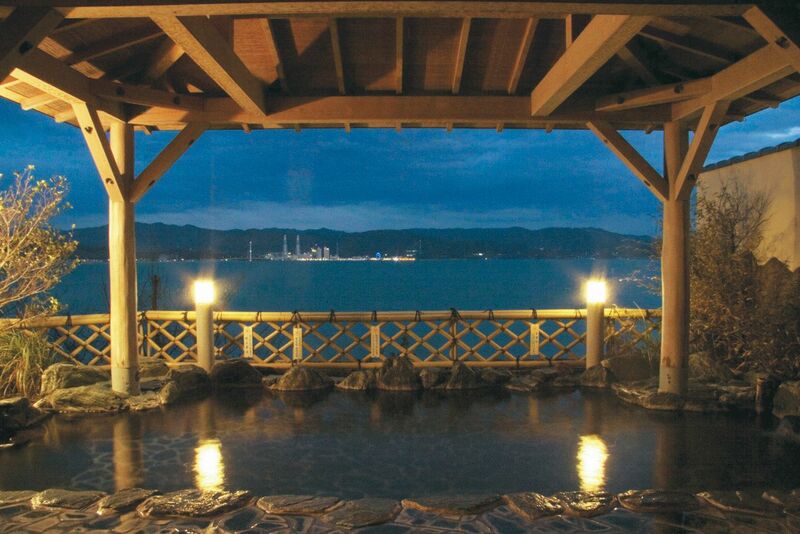 “Wakanoura hot-spring Manpa Resort” is located at the hill in this scenic spot. There are many attractive things such as original cuisines cooked with plenty of local fresh seafood and vegetables, calm guest rooms of ocean view, open-air bath seeing the sea. In addition, the facility was renewed on July 2016, opening Japanese restaurant “Sea dining Shisaafure” to enjoy seafood from a local fishing port, and welcoming bar “Sorafune”.